E book which will help you get completely free from the shackles of the whispers of Shaytan. The whispers that have been casting doubts inside you while performing wudhu and salah, thus ruining the contentment of your ibadah. What Experts Say of the Book ? JazaakAllah khair to Brother Hassan for this amazing book. May Allah (swt) reward him for it in this world and the next. This book is a MUST for every Muslim who has ever suffered or is suffering from was'was and has said enough is enough and wants a cure now to heal forever. Br Hassan has researched this topic in depth and provided us with beneficial and practical knowledge from the Qur'an and Sunnah on how to cure our was'was, which we can implement immediately. "Was'was ( Whispers) by Shaytan"
​Assaamualykum , Brothers and Sisters . 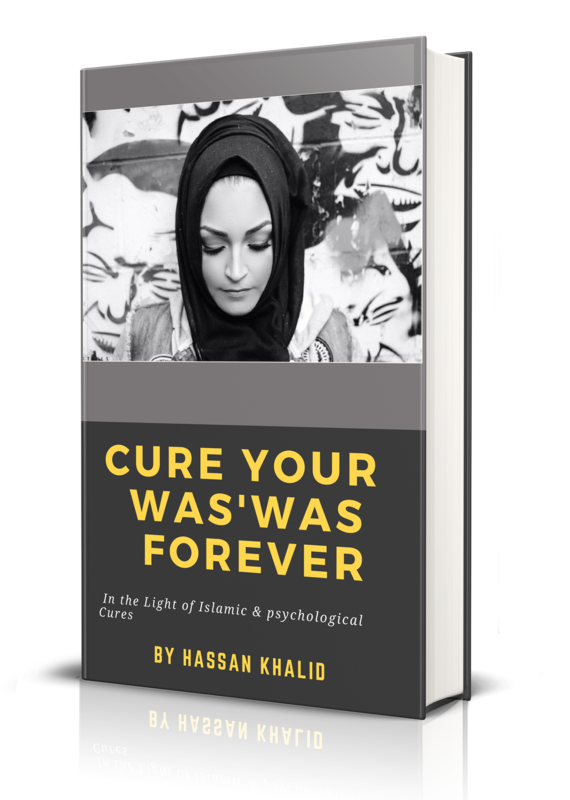 I am Muhammad Hassan , the author of this guide Book " Cure your Was'was Forever " . 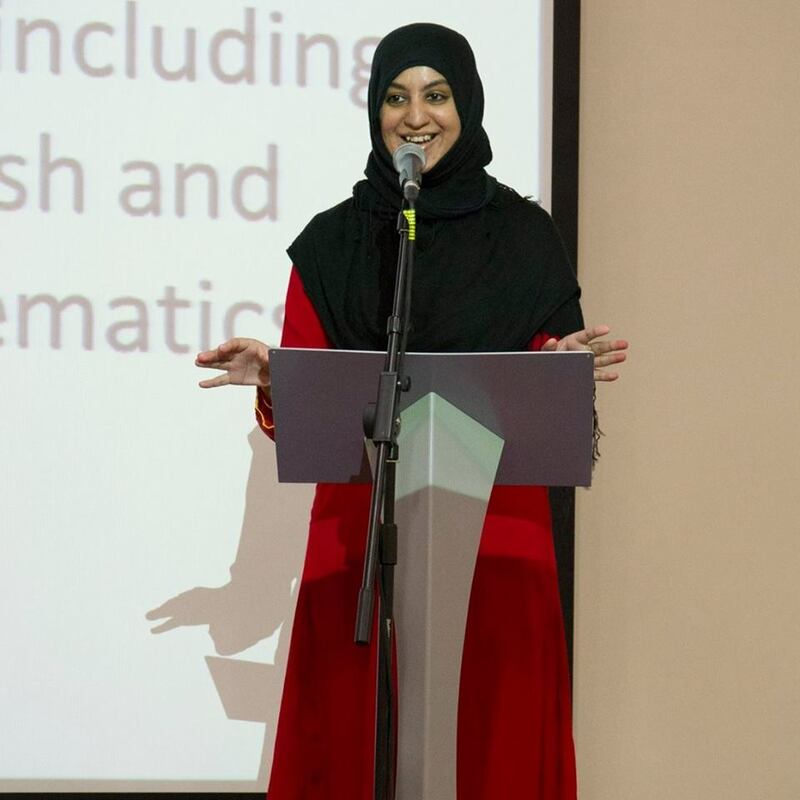 Many years of nerve wrecking circumstances along with a continuous battle with was'was is the GIFT which encouraged me on a road to devise a solution , intended to help others who are suffering with was'was . I remember how hopeless I felt when I was first hit by these strange whispers in my Salah & daily life & found no concrete solution for it . I would ask such questions : " Am I getting Paranoid ? " 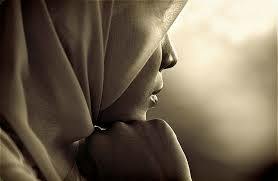 , " Am I Losing my Faith ?" . These thoughts started taking toll on my Salah , on my Wudhu and shower timings and almost all aspect of my life . 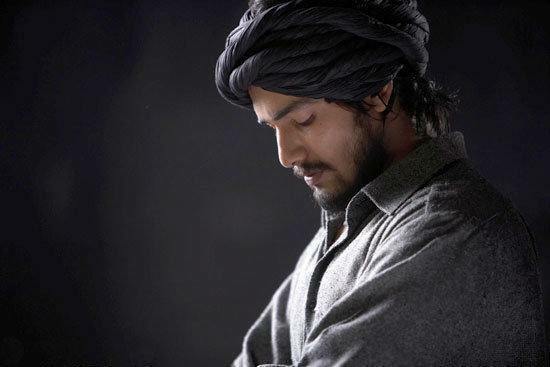 As if these thoughts already weren't affecting my Ibaadat , that later on , I started facing extreme thoughts of doubt my state of faith and of blasphemous nature . 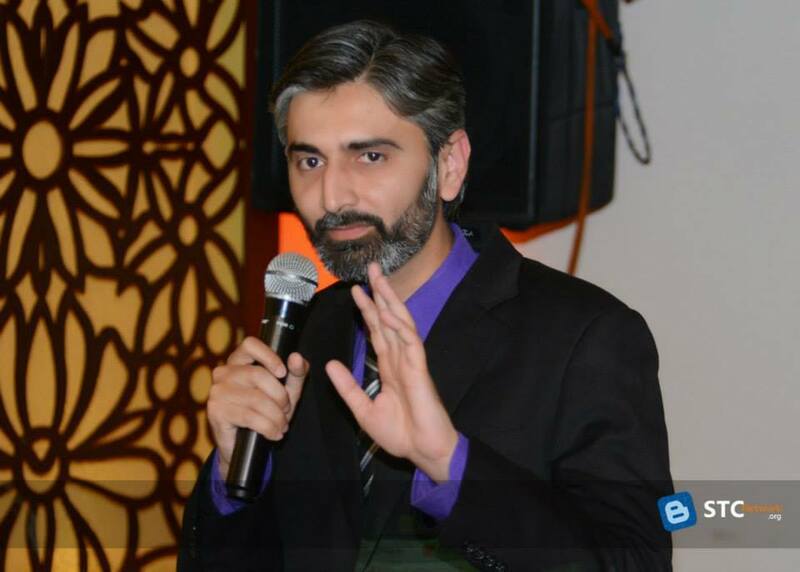 The reason behind Sharing with you my case is to encourage you that " You are Not alone " . If you have found yourself in this situation , then Put trust in Allah (swt) and take steps towards your cure . Inside the Book "Cure your Was'was Forever " , I have covered almost any type of was'was that a Muslim faces and in the light of Sunnah detailed the way to cure it ,Inshaa-Allah. You won't need to consult a plethora of websites or read a hundred books to improve your condition. I have collected almost anything you would require to make yourself return back to Normalcy and Well being . This E -​Book , “Cure Your Was’was Forever“ is a simple to READ & ACT guide . It comprises of all the knowledge about cures and remedies to rid yourself from the Weham and Was’was that shaytan is whispering inside you. Your spiritual Life shall become serene and you shall rejoice a rejuvenated Sense of Eemaán in all your religious activities, Inshaa-Allah. ​How Shall I get the Book ? 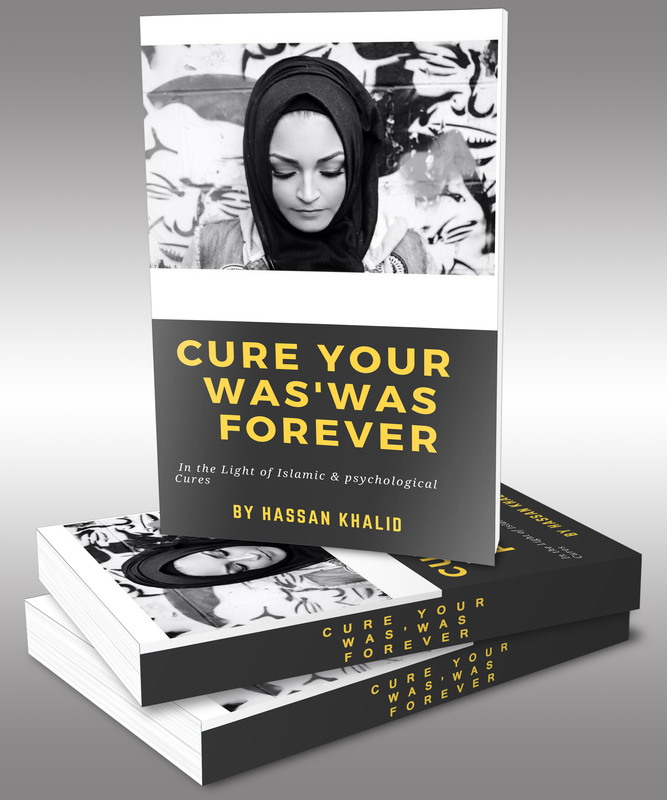 ​For your ease , Cure Your Was'was Forever , is a digital book . It means that you e Book can download the book right NOW . No waiting re time. As soon as you pay , you are directed to a Special link to download the Book . And you have Life time Rights to this Book . It means that even if you delete this Book my mistake , we shall always be here to resend it to you. ​Where Can I contact you ? If you require any kind of technical help for downloading the Book , or if you want any clarity about understanding the contents of the Book better , you can contact us . Our team makes sure that we contact you back ASAP . ​Shall this Book Help Me ? ​How to Purchase the Book ? ​You can purchase the Book by Paypal or Visa & Master Credit Cards . This is a one-time payment. In case , you don't have any Credit/Debit Card , you can contact us at : hassan@hassankhaliid.com to guide you further on how you can purchase this course , in your country . Can I Read the Book on Smart phone ? ​The E book Can Be read on any device . It can be read on your Laptop , Smart phone , Tab etc . It can be printed out as well to read it on Paper . ​What if I don't Like the Book ? 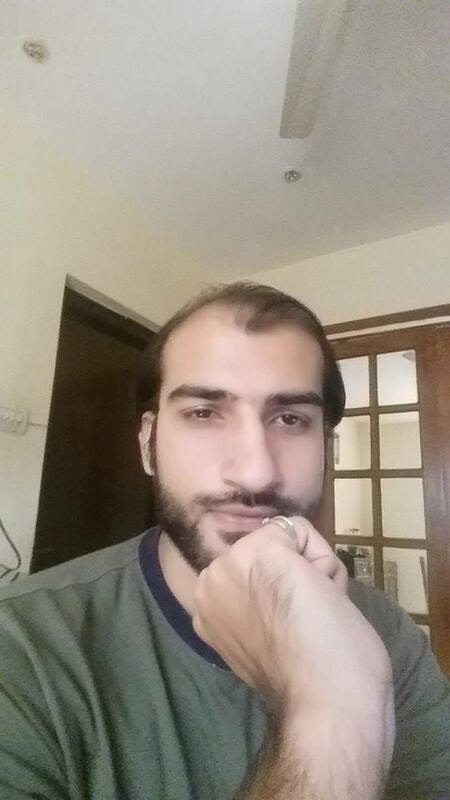 ​No Worries , Just contact me at hassan@hassankhaliid.com and we shall opt for your refund immediately .